Originally developed by Belmont Aerospace and subsequently upgraded by KADEC, the KT-3D Buzzard is a two-seat, single engine jet trainer. Originally developed as a light ground attack fighter (the KA-3), the KT-3 features many of the performance characteristics found in its combat-capable relatives. Its powerful engine along with its high agility give students the ability to properly develop their skills in air-combat maneuvering and ground attack missions. 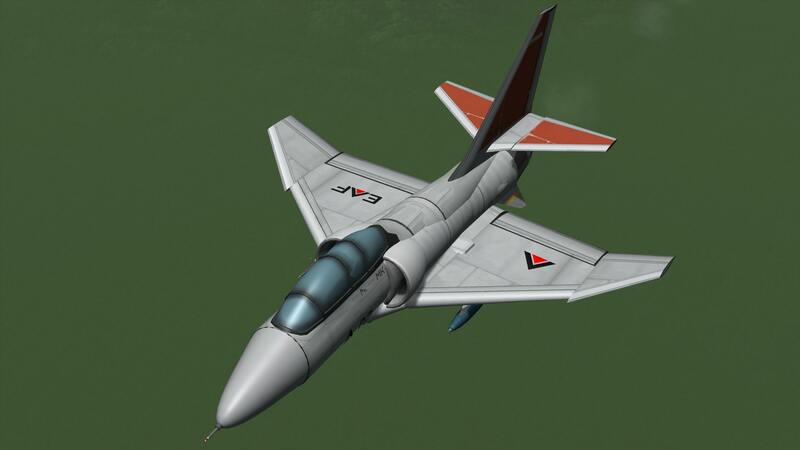 The KT-3C upgrade, undertaken by KADEC (Kerbal Aerospace Defense Corporation) upgraded the Buzzard’s avionics, flight instruments and engine. Built in KSP version 1.3.1.